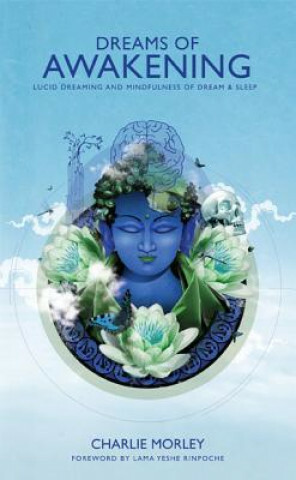 Dreams of Awakening is a thorough and exciting exploration of lucid dreaming theory and practice within both Western and Tibetan Buddhist contexts. It not only explores lucid dreaming practices, but also the innovative new techniques of Mindfulness of Dream and Sleep, the holistic approach to lucidity training which the author co-created. The book is based on over 12 years of personal practice and the hundreds of lucid dreaming workshops which Charlie has taught around the world, in venues as diverse as Buddhist temples and dance-music festivals. Using a three-part structure of Ground, Path and Germination the reader is given a solid grounding in: the history and benefits of lucid dreaming; cutting edge research from dream and sleep scientists; entering the path of learning to do the practices; and prophetic dreams, lucid living, out of body experiences and quantum dreaming. Although Dreams of Awakening presents many different angles on how to make the 30 years we spend asleep more worthwhile, the fundamental aim of the book is to teach people how to lucid dream their way to psychological and spiritual growth. This book is for all those who want to wake up, both in their dreams and waking lives.